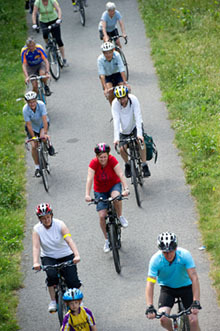 Cycling in Tameside is gaining prominence. If you require information or you want to contribute to the development of Cycling in the area, please click on the links provided. If you're fed up with driving or using public transport, there's never been a better time to cycle to work.